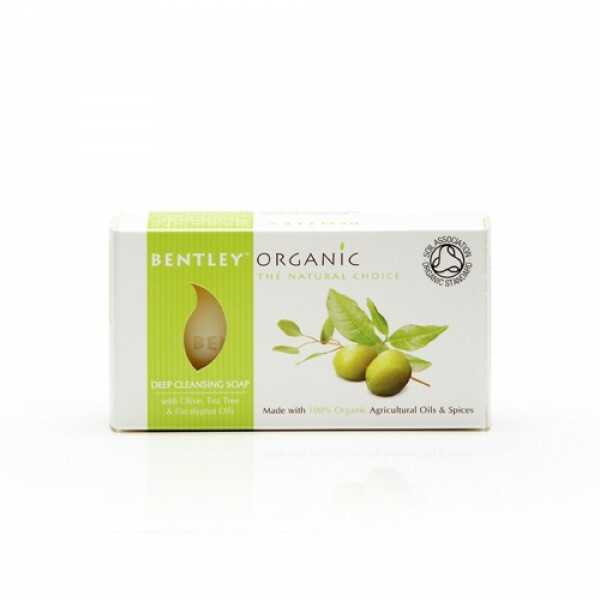 Deep Cleansing Organic Soap with antibacterial tea tree, olive and eucalyptus. 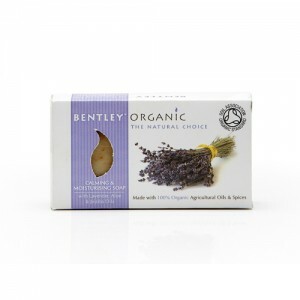 Soil Association Certified Organic Soap made with high grade certified organic plant oils and organic essential oils to give beautiful 100% natural fragrances. 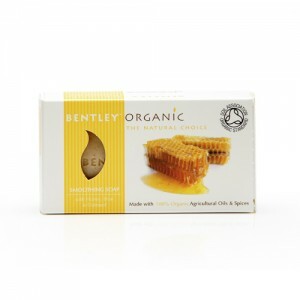 Hard milled extra large 150g organic soap bar which lasts for ages and won't turn mushy when wet. 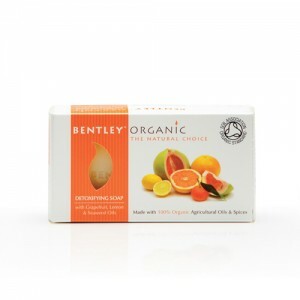 Each Bentley Organic soap is made with high grade Certified Organic Palm and Coconut Oil in the world's first Soil Association Certified organic soap making facility. Sodium Palmate*, Sodium Cocoate*, Aqua, Glycerin*, Sodium Palm Kernalate, Melaleuca Alternifolia (Tea Tree) Oil*, Eucalyptus Globulus Leaf Oil*, Olea Europaea (Olive) Oil*, Pentasodium Pentetate, Tetrasodium Etidronate Limonene. 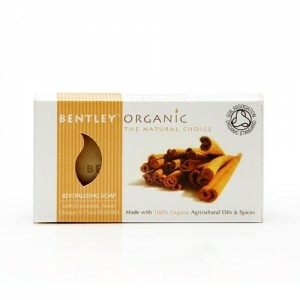 *Indicates Certified Organically Grown Ingredient. Colour may vary due to natural ingredients. Use all over when showering or bathing. Rinse afterwards with warm water.